The new cute PANDORA Disney Parks jewellery is the perfect way to remember the Magic Kingdom! 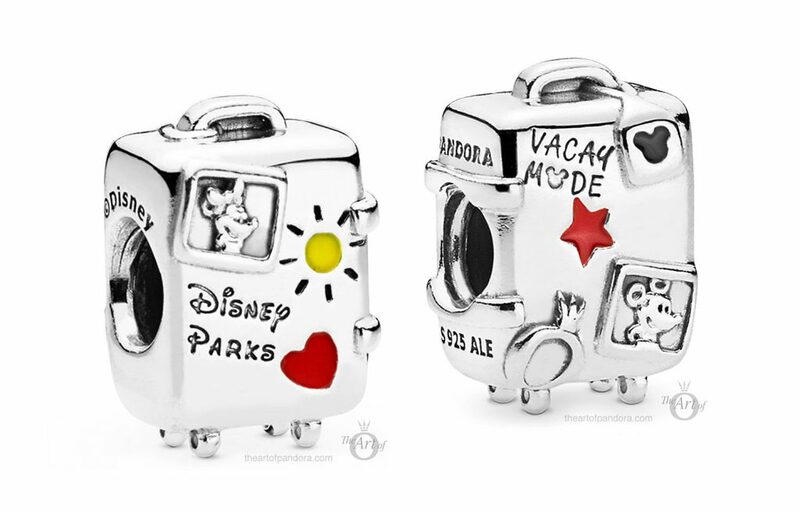 In addition to the recent Suitcase Pendant (797887EN160) from the Spring 2019 Collection, we have a new PANDORA Disney Parks Suitcase charm! However the PANDORA Disney Parks Suitcase Charm (797997ENMX) version is a regular charm rather than a pendant, which I personally prefer. Unfortunately the PANDORA Disney Parks Suitcase does not open but it is full of lots of lovely Disney details including Minnie and Mickey ‘stickers’ and a Mickey luggage tag! The PANDORA Padlock Bracelet has been sprinkled with a little pixie dust in this new Disney version! The iconic Disney castle motif decorates the heart clasp and is adorned with pink, teal and green stones. Surrounded in candy pink enamel, the iconic Disney castle shines bright on one side of this charm with a sparkling star above. The other side of the charm depicts a silhouette of a Disney family holding hands on a day at the Park. 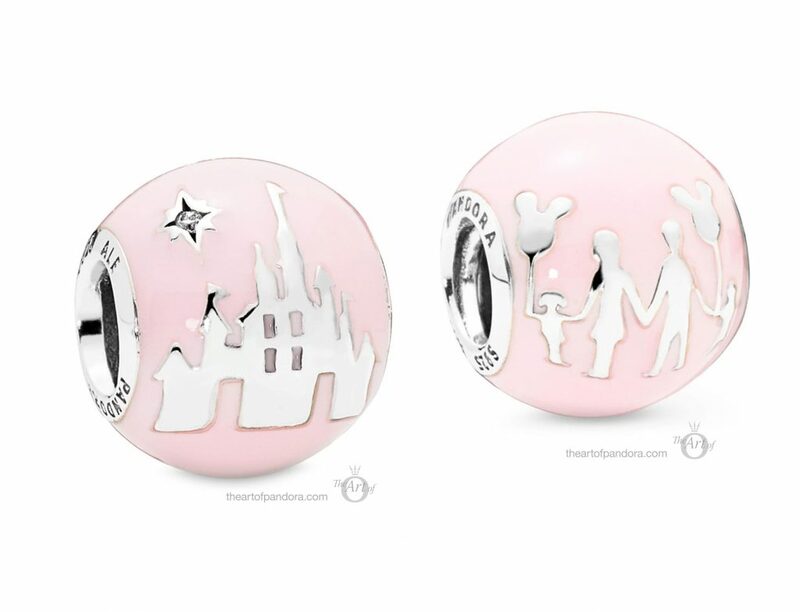 The family motif is almost identical to the retired red enamel PANDORA Family Silhouettes charm (791399EN62), other than the children holding fun Mickey shaped balloons. A Mickey balloon is a Park must have for me. 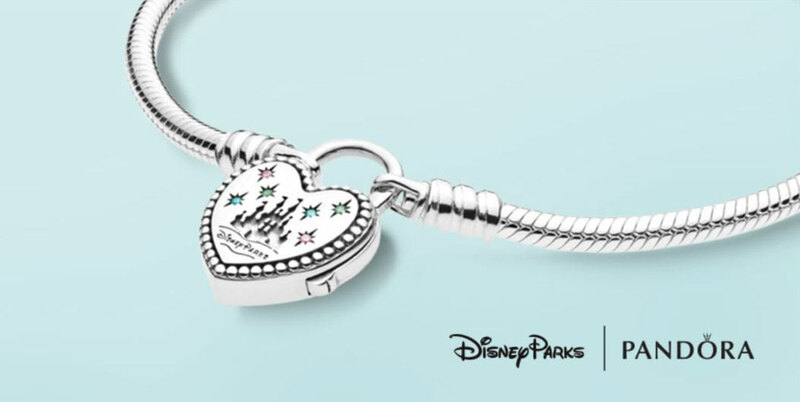 This charm would look cute paired with the pastel pink PANDORA Disney Parks 2019 Fantasyland charm. You too can be one of Mickey’s Mouseketeers with the new PANDORA Disney Parks Mickey Mouse Club charm! Adorned with sparkling stones the button style charm features the famous Mickey Mouse Club logo in red, white and black enamel. 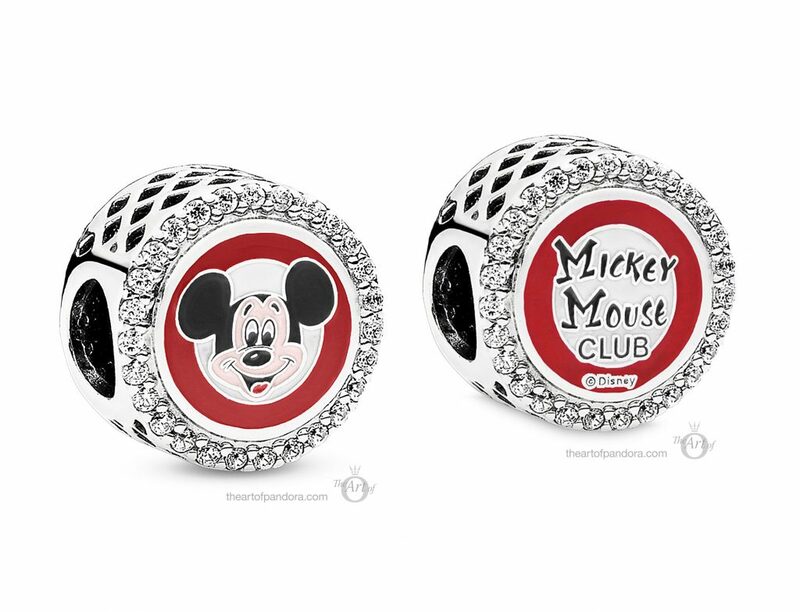 The back of the charm features the ‘Mickey Mouse Club’ logo also in red, white and black enamel details. I know this is off subject, but in the spring collection video at Pandora’s official youtube channel, it shows a smooth padlock bracelet with a clover on the lock. Pandora.net in the U.S. doesn’t have it and my local store knows nothing about it. Have you seen it? Dos anyone know where it might be sold? I saw the bracelet in that video but I haven’t seen it anywhere else. It’s very strange but maybe there were production issues which meant it couldn’t be released. I’m still waiting on the Floating Locket bangle a whole year later! I am also still waiting for the floating locket bangle. I have never seen one for sale. I have only seen pictures. I also wonder if there was a issue with the locket? I really want one, so if anyone out there knows if they ever were for sale, please let me know. That’s so exciting! I hope to go there one day. I visited WDW last year and it was my first Disney Park experience. I caught the bug though and am visiting Disneyland Paris in May! It probably won’t be as warm as Anaheim Disneyland though! Does anyone know where the chip and dale charm can be purchased from? I ordered mine from a blogger called disneypandoralover. She ships worldwide and she’s from Hong Kong. Yes she is one of the lovely ladies who can help! I know! It is the randomness that kills me! I was able to order the Mickey Mouse clubhouse charm today it became available. The pink family charm also showed up this week. Just waiting for Chip n Dale. Thanks for the connection, if I can’t take it anymore I will contact Normie! I don’t have Normie’s email address. But the good news is that both the Chip and Dale charm and the new Castle bracelet are on Shop Disney now which ships internationally.